When thinking of Skegness, the majority of people over a certain age will remember the old railway advertisement for the town, stating that you should visit Skegness as its ‘so bracing’. It is still the most famous of all of the English holiday posters and though times may have changed since it was designed, very little about the seaside resort has changed. There may be new buildings and modern arcades now, but what lies beneath all of the flashing lights and take away food outlets is still the very same traditional seaside holiday that generations of families have enjoyed. The name may not trip of the tongue and it certainly doesn’t sound the most exotic of places, but what’s in a name? Discover Skegness for yourself and see why generations of families still come back here year after year. This lovely resort town is the largest of all of the seaside towns along the Lincolnshire coast. People have been spending their summers here every year for over a century with no sign of the town’s popularity diminishing with time. The beaches here have won a European award for their cleanliness and the water is just perfect for paddling. The promenade is filled with attractions and you can find all the facilities you could possibly need right along the sea front. Although Skegness is the largest of the Lincolnshire seaside resort towns it is still small enough to offer the same friendly atmosphere that it did all those generations ago. The town was nothing more than a small fishing village until the railway arrived and from that day forwards it has never look back, remaining just as popular today as when the first trains filled with hopeful holidaymakers arrived. 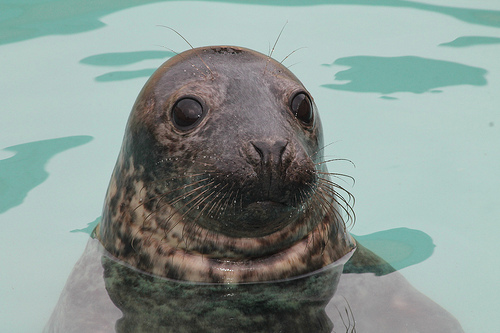 The kids will love the Natureland Seal Sanctuary which is also an animal centre where they can meet some of the seals and other marine creatures that live there. For those with a love of history there is the Church Farm Museum. There are more than enough activities to keep the kids occupied each day, from crazy golf to laser quest to swimming. The whole family can have fun on the pier which has a tailor made children’s entertainment area. Enjoy ten pin bowling, or experience all the fun of the funfair. Plus of course there is the pier. There are plenty of places to get something to eat from grabbing a quick bite to enjoying the very best of local produce at one of the restaurants located near the sea front. The whole seafront area is beautifully landscaped and makes for a delightful place to be. Skegness is the home of Europe’s biggest seven day market, which offers shoppers more than two hundred different stalls to browse where you should be able to find just about anything you could possibly need, plus a souvenir or two of your visit. Those who love the combination of water and speed will enjoy trying their hand at water skiing while the kids will probably enjoy a trip to the UK’s only Parrot Sanctuary. A good introduction to Skegness, as you said there is a wide range of entertainment including the newly opened Skegness Aquarium. Skegness has a lot more to offer than people initially realise and once you scratch the surface you will find enough to do easily fill a couple of weeks. The beach has won awards in the past and yes the Parrot Zoo is a must visit!